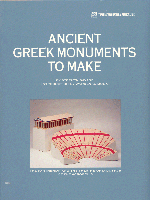 The crowns of the Acropolis of Athens: Parthenon and Theatre of Dionysos, meticulously drawn on cardstock providing all of the design elements necessary to construct 1/250th replicas of these two great monuments. 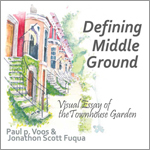 Fuqua and Voss explore what they call the “middle garden,” a vital component of the urban landscape, starting at the front doorstep and ending at the curb. The book’s aim is to “reverse the Home Depot and suburbanization trend,” using the middle garden to create the necessary link between the home and the greater community. Eldred produces this beautifully illustrated and deftly written guide to his graceful, high style country furniture. 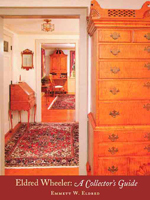 A Collector’s Guide is informative and exhaustive enough for professional collectors and wood workers, but retains an accessibility that will engage and entertain the casual reader. This 275-page reference includes over 135 color photographs and details of the company’s conception and growth. A collection of quotations assembled by a true nature lover and conservationist. Profusely illustrated with wood engravings by Thomas W. Nason. Born in 1873, she was the illigitimate daughter of a wealthy Mexican landowner and an Indian woman. The beautiful, spirited Teresita played a dramatic role in the Mexican Revolution.